A tragic accident occurred Sunday on the H.E. Bailey Turnpike in Newcastle when a driver stopped to make a U-turn and was struck by a pickup truck. Two people, a 39-year-old woman and a 21-year-old man, were killed as result. The driver of the pickup truck was not injured. The woman was pronounced dead at the scene of the accident, while the man died on route to the hospital. The police report said weather and snow on the road were not factors in the crash. This is the second fatal accident on the H.E. Bailey Turnpike this month. Another fatal accident occurred on Jan. 8 near Cyril, when a tire blowout caused a man to lose control of his vehicle, leading to it roll several times before striking a fence and rolling down an embankment. One of the passengers, a 22-year-old man from Lawton, was killed. The driver and the other passenger were treated for injuries at a local hospital. The Centers for Disease Control and Prevention state that 94 percent of traffic fatalities are due to driver error, rather than vehicle malfunctions or road conditions. The sad fact is, that almost all car accident deaths are preventable. Distracted Driving Pay attention to the road and your surroundings. Teen drivers should avoid having more than one passenger, as this puts them at higher risk of distraction. Reckless Driving Do not speed, weave in and out of traffic, or make unnecessary sharp turns. Take a defensive driving course to improve your skills and put safety first. Drunk Driving Do not drink and drive. If you choose to drink, hire a cab or find a non-drinking designated driver. Texting and Driving Turn off your phone and put it away unless you are parked and pulled over. Whatever it is, it can wait. Drowsy Driving If going on a long trip, get a full night’s sleep before driving and take frequent breaks. Do not attempt to drive more than 11 hours in a single day. 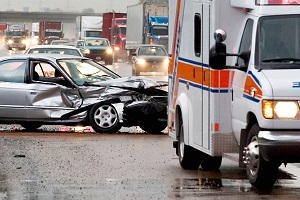 If you or a loved one has been injured in a car accident, our Oklahoma City car accident lawyers can help recover the compensation you deserve. If a loved one has died in a tragic accident due to another driver’s reckless or negligent behavior, you may be able to pursue a wrongful death claim. Contact The Edwards Law Firm today for a free consultation.